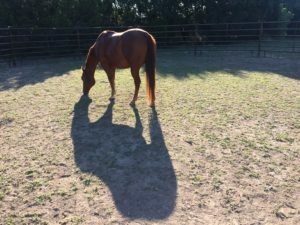 Equine Assisted Learning for Leadership and Team Building? Yes!!! Being an effective leader in the corporate world today requires a unique set of skills, very different from those of former generations. Employees are looking for more meaning, purpose, skills and growth in their everyday work life. No longer beholden to long term contracts with their employer, they will seek out new opportunities if necessary. In this environment, business leaders must find new ways of working with and reaching their teams. The speed at which the world moves now demands greater creativity, innovation, intuition and results from companies in order to positively affect client satisfaction and the bottom line. This pressure causes a great deal of chatter in over-active and over-stimulated brains which causes stress and anxiety. In that stressed state, we lose our connection to our deep values, creativity and ability to think clearly. 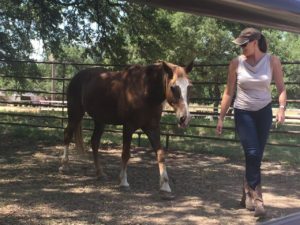 Equine Facilitated Learning (EFL) experiences are fast becoming one of the ways to reconnect and become more productive. Highly sought after and effective, EFL provides a unique and memorable experience for you and your team, a natural way to learn new and important skills to become a successful leader, and work within a team. 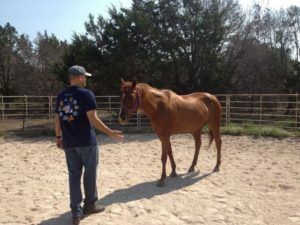 EFL is a facilitated experience of humans working with horses; connecting to themselves in order to connect with others more effectively. What makes this model so effective is its ability to give your team instant feedback, in a non-threatening way, and then allows everyone to practice identifying when they are self-aware, in a non-judgmental environment. This is necessary for healthy relationships and something lost in our culture of too much emphasis on verbal communication, combined with the electronic age of texting, emailing and messaging. Learn how to access that perfect blend of integrity, clarity and authority that inspires absolute trust from the horse in your leadership ability. When you get it right they will follow you anywhere you go. This experience of true, authentic leadership is beautiful, unforgettable and immediately applicable to all relationships. All that is needed is to be willing to face what shows up, understand why and make new conscious choices that can power you and your team into high gear. Right here, right now. That’s power. Horses are 100% focused on the present. They don’t dwell in the past or worry about the future. Just being around them can help us slow down, focus and become present and attuned to our environment. Making decisions based on current circumstances is most effective and that is where your power lies. Understanding how to communicate intention, while motivating and setting boundaries with a 1200 lb animal, will help teach leaders and teams to challenge demands in a healthy and calm way and gain greater respect and cooperation with relationships at home and at work. Since 90% of our communication is non-verbal, it is necessary to learn the art of tuning in to those around us. Since a horse responds mostly to non-verbal communication, participants learn how to tap into this important skill again. Who is this good for? Guest Blog – A Real EAP Experience! Thank you Launch Wellness Austin!